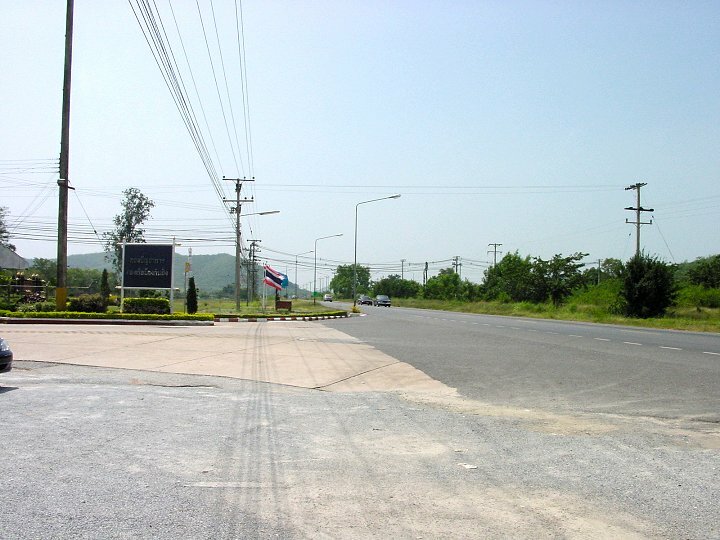 Camp Samae San is located approximately 90 miles South of Bangkok near the city of Sattahip, Thailand. 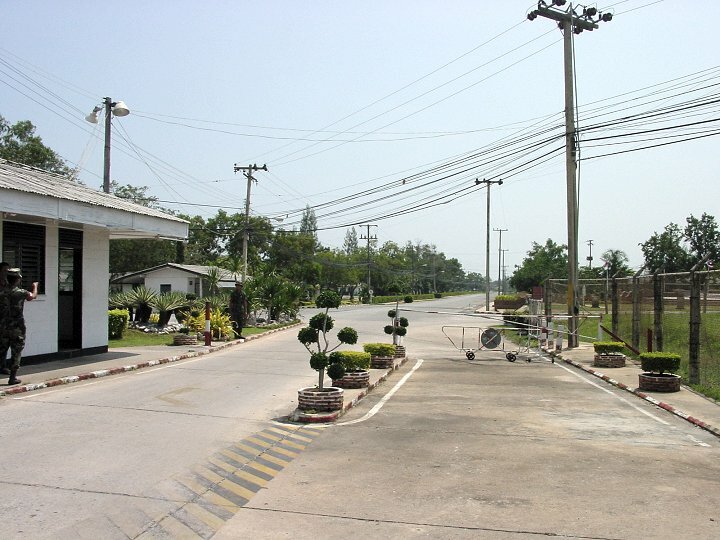 Camp Samae San is about 5 miles SW of the Utapao runway and along the Gulf of Siam. Sattahip was located about 2 miles West and South. USCG LORAN Station was very near Camp Samae San. 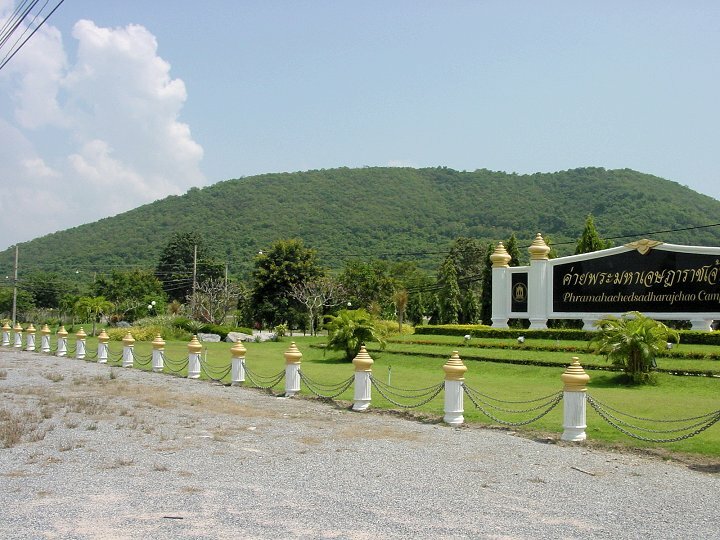 October 24, 2004* Drove from Bangkok on highway 3 and passing by cities like, Chon Buri, Bang Saen, Sri Racha, Laem Chabang, Pattaya, Jomtien, Sattahip and Utapao. Drove all around the perimter road of Camp Same San and down to the beach area also. I did notice an R& R center for Thai military near Camp Samae San Beach. 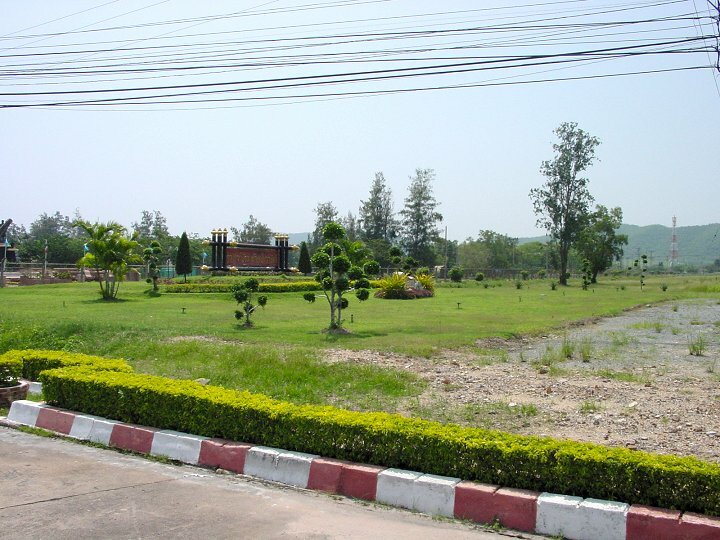 There was and area directly across the street from Camp Samae San that was active during the Vietnam War. 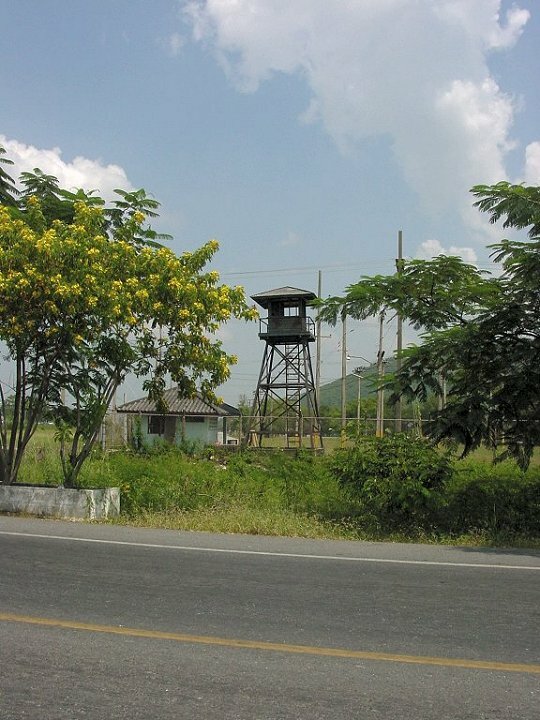 This facility is still being used by the Thai military today. Stopped at Utapao Naval Air Base to see the civilian passenger terminal. I would say that about 95% or more of the flights that arrive at Utapao are from Russia. Hope to locate Camp Vayama, Deep Water Port, USCG LORAN Site at Sattahip and Bang Pla/Ping in the near future. MP's motto " Trail'em, Nail'em, Jail'em"
Photo of a guard tower. Facing the main gate, it was at the very right hand corner of the camp.